I have been a complete and utter slacker in the blog world. I think I underestimated how difficult moving would be. It’s not even all the logistical stuff. Sure, that has not been a walk in the park. Getting the house ready to sell was a big undertaking, especially when two of our residents are under the age of 5. Finding a rental house 3,000 miles away was also quite difficult. Thank goodness for my mom and sister who went exploring on our behalf. We now have most of our plans in place and I am finding myself emotionally drained. I have wanted to write about my plants and garden but I found myself unsure what to even say. I’m sad about leaving our home and gardens. I really am. 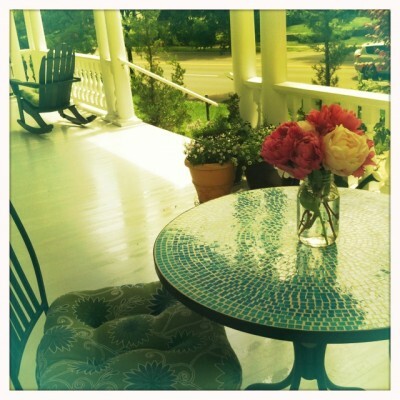 But, what I am very happy about are my peonies. 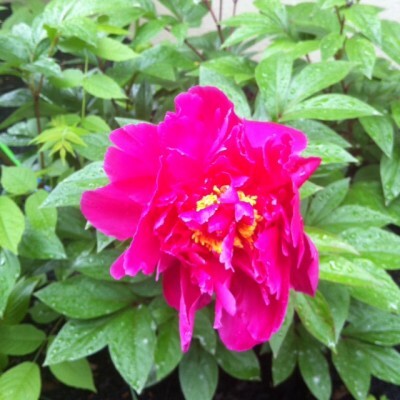 If I had to pick one flower to call my favorite, it would definitely be the peony. This hardy perennial blooms only once and I believe most gardeners would say that is one of their favorites for that reason. The blooms are so romantic. The petals are soft and airy. They have a subtle fragrance that is reminiscent of a rose but maybe a little spicier. They make the most casual, yet sophisticated bouquets. That’s right- I cut mine. 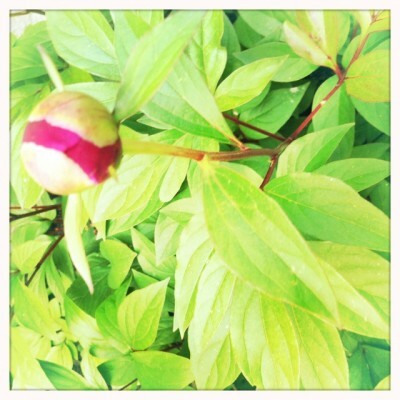 I only have five peony plants in my current yard. The next home I own will have a whole area dedicated to my favorite flower. Because my current plants are in areas of my yard that I don’t see too often, I bring the blooms inside. Not to mention, I would hate for the flowers to be ruined by some of our intense thunderstorms. I am so happy that I get to enjoy these flowers for the next few weeks before we move back to the Pacific Northwest. I’m telling you, if you ever receive a bouquet of peonies from a friend or loved one, consider it a very grand gesture. 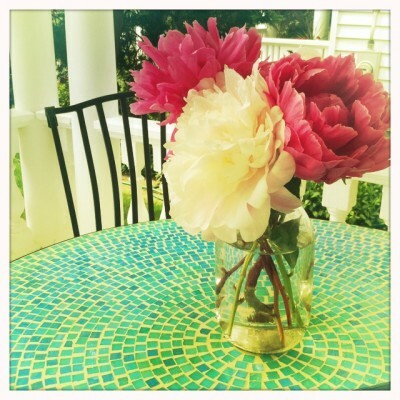 Here are a few shots of my pretty peonies. I can’t resist sharing a picture of my cute little boy smelling flowers. Can you blame me? 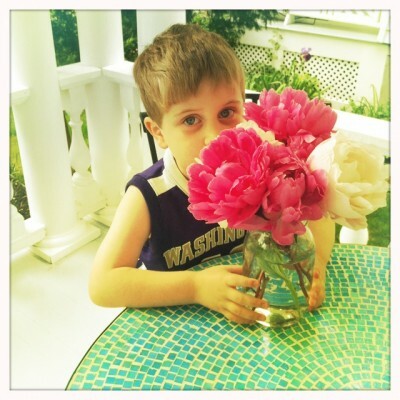 Beautiful flowers and a very adorable little boy! Can’t wait ’til you’re home!! I’m sold, I need to get some peonies! They look so pretty in the vase on your table. And even better next to Gav!